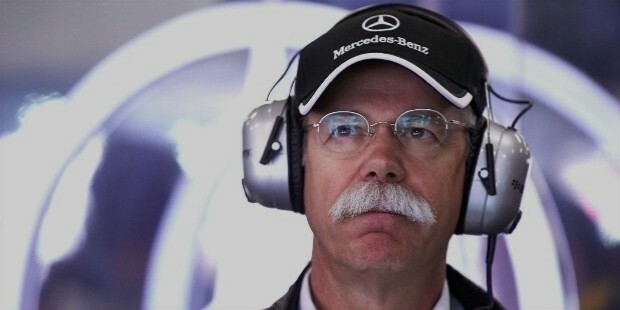 Dieter Zetsche is the Chairman of Daimler AG and Head, Mercedes-Benz. 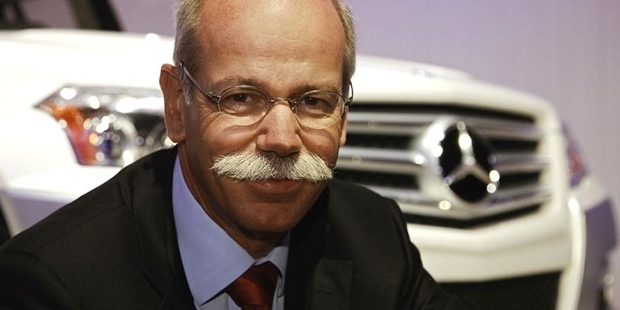 Dieter Zetsche was born in Istanbul, Turkey on May 5, 1953. Soon after his birth, the family moved to Germany where Zetsche completed his schooling in Oberursel in Frankfurt. After finishing school, the young icon completed his electrical engineering degree from the University of Karlsruhe in 1976. The quest for knowledge didn't wear out and in the year 1982 Dieter obtained his doctorate in engineering from the University of Paderborn. 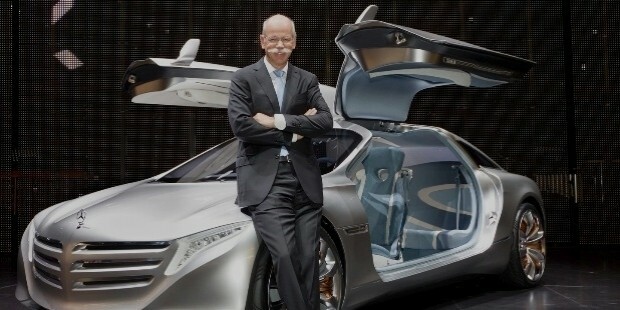 Apart from his technical know-how, Zetsche displayed a flair for languages. He is reportedly fluent in French, Latin, English, Spanish and Portuguese besides his native lingo, German. In the year 1976 he joined Daimler-Benz. Dieter was initially employed to work in the research department. His determination and passion for vehicles soon advanced him to the position of Assistant Development Manager for the business unit in 1981. His technical knowledge and the attitude toward his work pushed him farther within the car manufacturing unit. 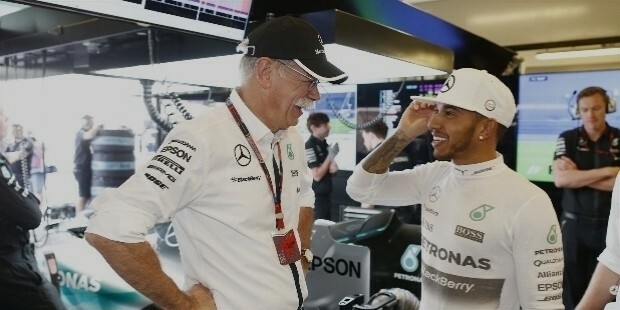 Soon, Dieter was relocated to Brazil to lead the Mercedes product engineering department. For other business leaders, there would be ups and downs at every turn of a challenge. However the way Zetscheembraced those obstacles and moved forward was quite historic. In 2000, he joined Chrysler as its president and CEO. His motive was to make a collaborative approach in order to pave new ways for Chrysler and Mercedes-Benz to work rather placidly. However, this move ended on a more negative note for Zetsche. Eventually his achievements outclassed the setbacks as a reflection of his vision, showcasing his novel and unique methodology of operation. 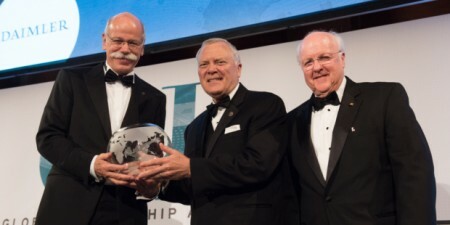 Dieter Zetsche wasrecognized for his numerous achievements bringing back the once lost spine of the company in terms of customer satisfaction and product quality. 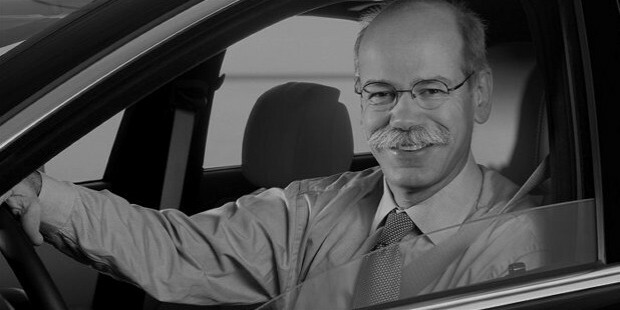 Zetsche was named in the TIME Magazine’s list of 2006 Most Influential People in recognition of his pursuit to success and his ideology. 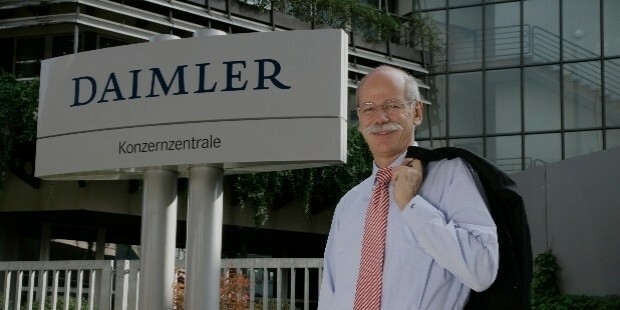 In the year 2007 Zetsche played an elementary role in demerging of the Daimler and Chrysler. This demerger gave rise to the newly established Daimler AG. In his current seminary, he brought several innovative ideas and visions that have revolutionized the driving experience of what we have today. Some of his achievements include the 'forward-thinking system' in the vehicle that enables the driver to communicate with the car on a virtual interface. 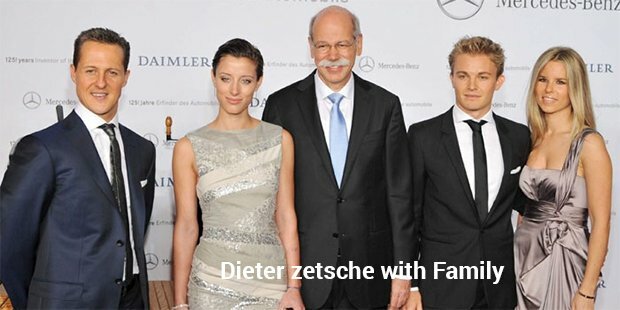 Zetsche was associated with Daimler AG for a significant amount of time. Almost a major portion of his career was spent there. He now serves as the chairman at Daimler AG’s while also heading Mercedes-Benz. 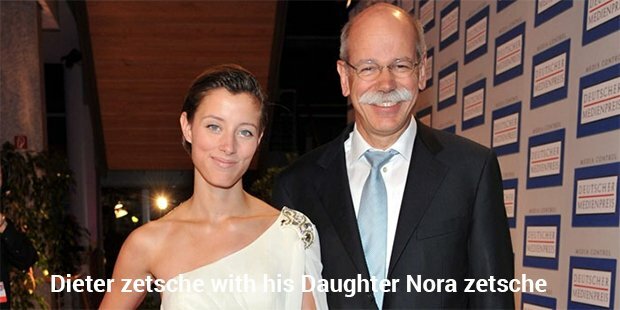 Zetsche is the member of the Company’s board since 1998. His latest vision is to power the vehicle with hydrogen and more high-tech solutions in the driving section. 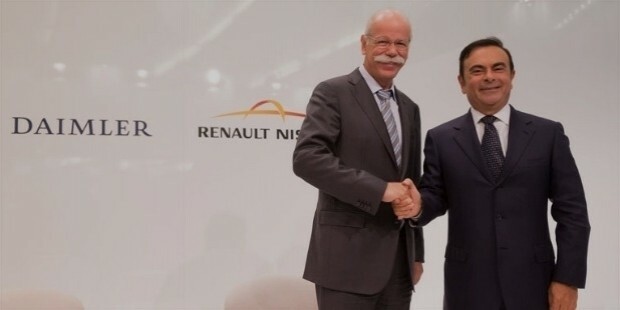 During the course of his career Zetsche had his share of downfalls - losses, controversies, companies failing to meet customer requirements, alliance break-ups etc., He had to battle the odds despite holding the ground hard with a firm foundation. Dieter Zetscche was able to stand out even stronger because of his ability to think ahead and moving forward. In the year 2008, he was awarded with "Entrepreneur of the year" from German media.